It's Halloween, and what better way to ring in the sweetest holiday of the year but with the candy man himself, Willy Wonka! Christian Borle and his fellow cast of Charlie and the Chocolate Factory paid a visit to The View on October 31 to sing from the show that is packing houses on Broadway. 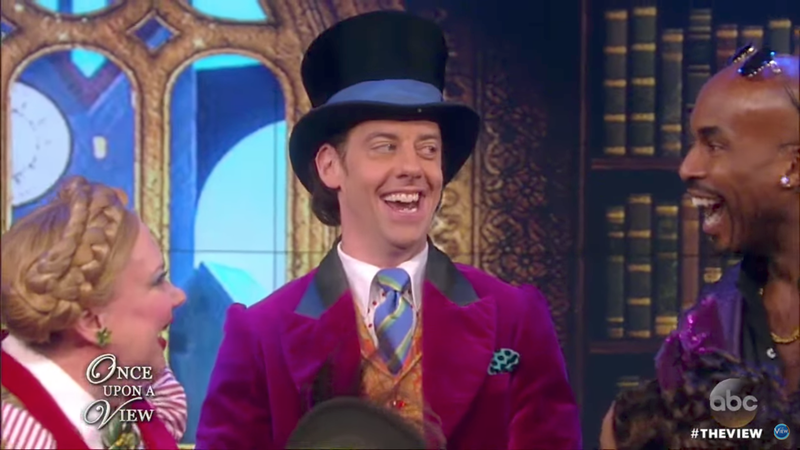 Watch two-time Tony winner Borle as Willy Wonka with Jake Ryan Flynn as Charlie and the show's colorful supporting characters in the video below and make your way to the Lunt-Fontanne Theatre to experience a world of pure imagination in person.